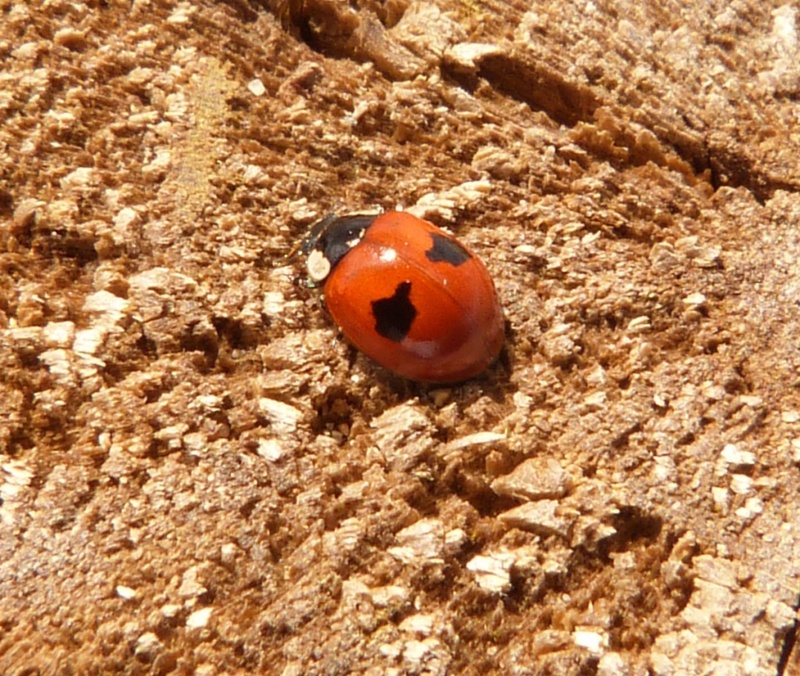 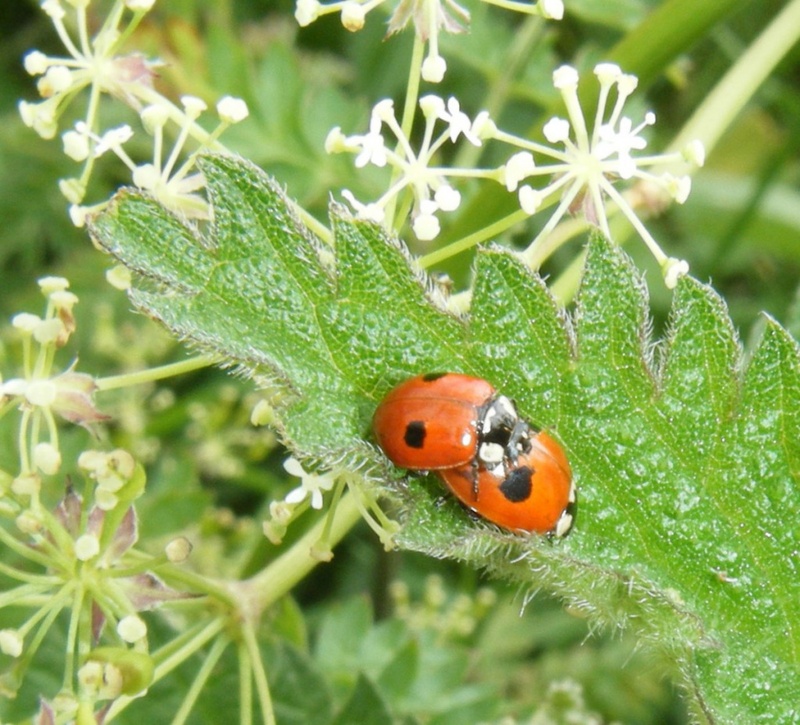 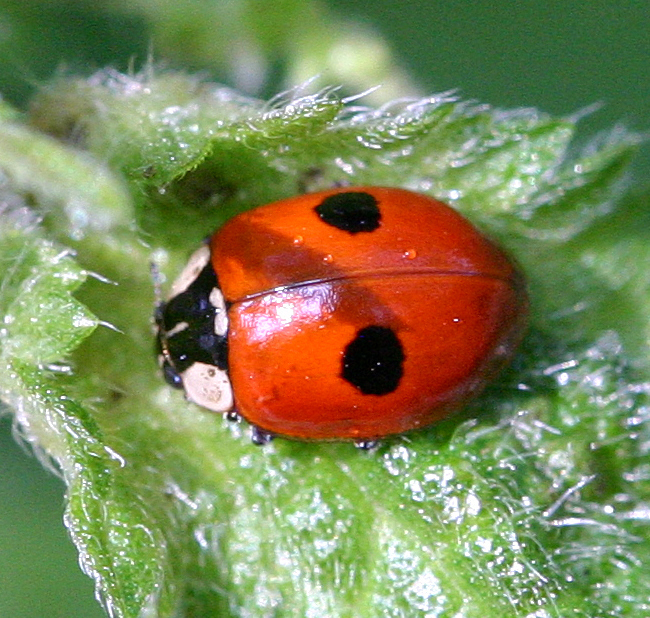 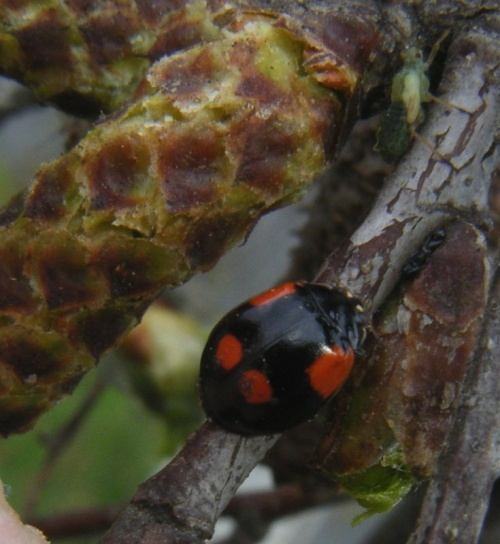 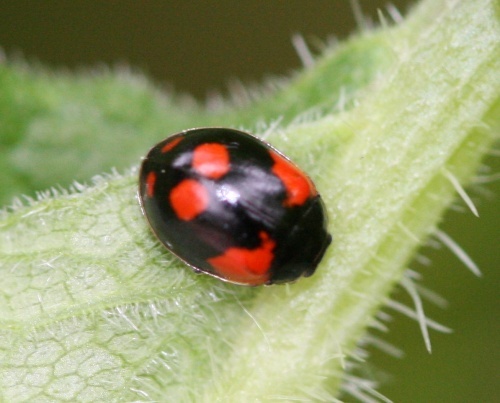 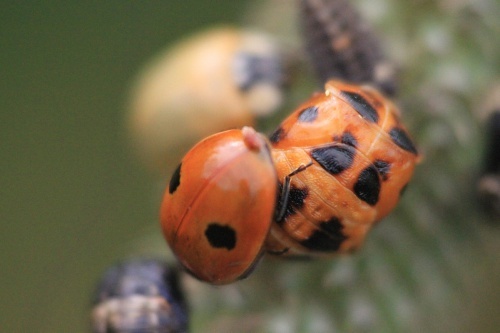 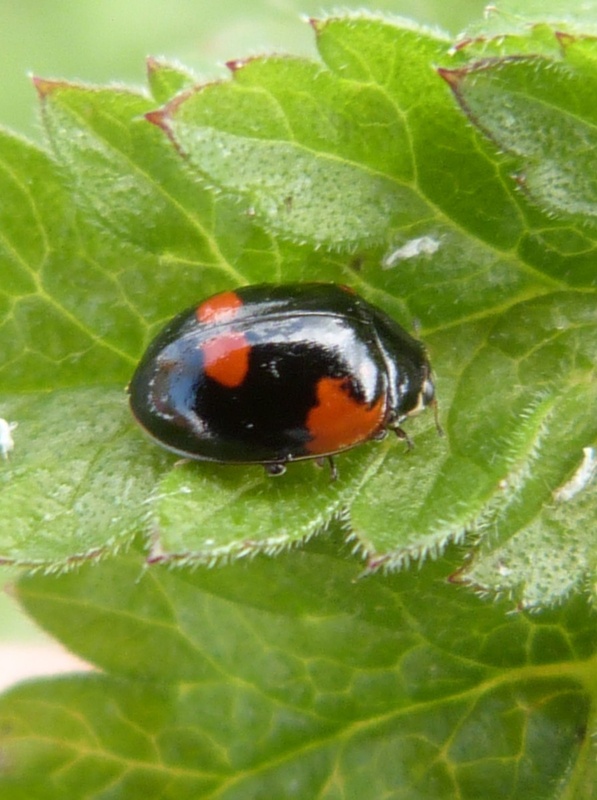 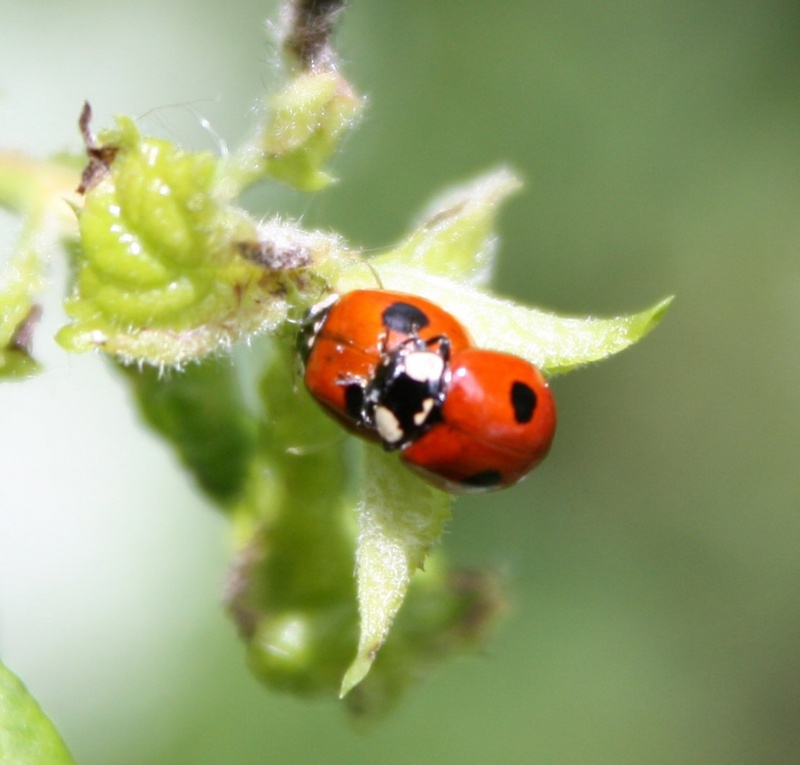 A small and very common ladybird with two main colour varieties. 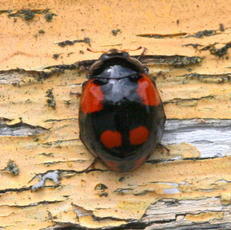 Most are red with two black spots but some are black with red spots. 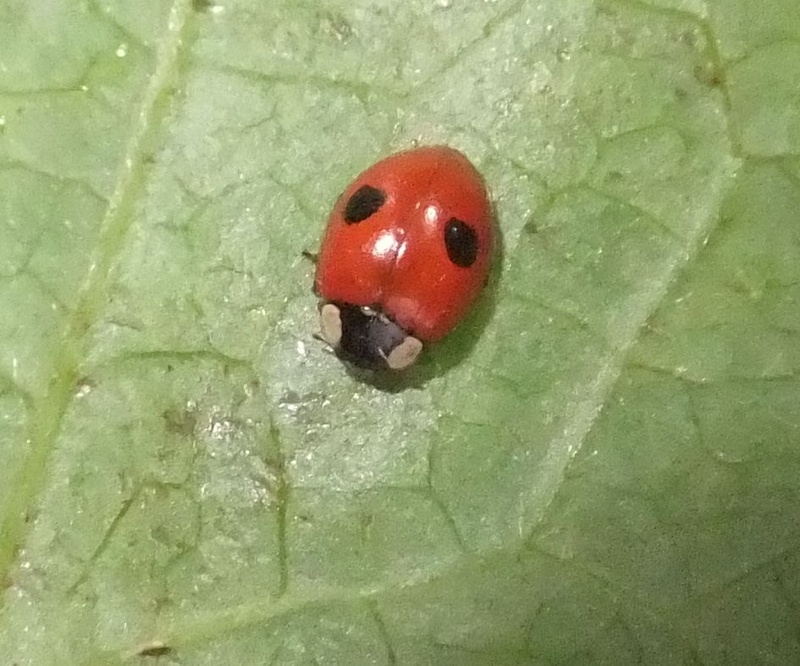 Rarely there are intermediates with merged or multiple spots! The black versions are most common in the north where it helps the insect to absorb heat from the sun. 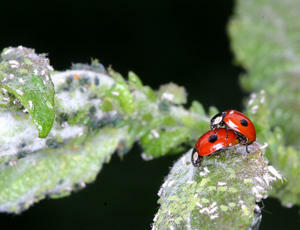 They can be found in any habitat as long as there are aphids or other small creatures for them to eat. 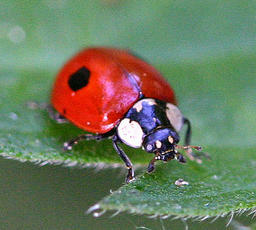 They are common garden visitors. The active adults can be seen from March to November. 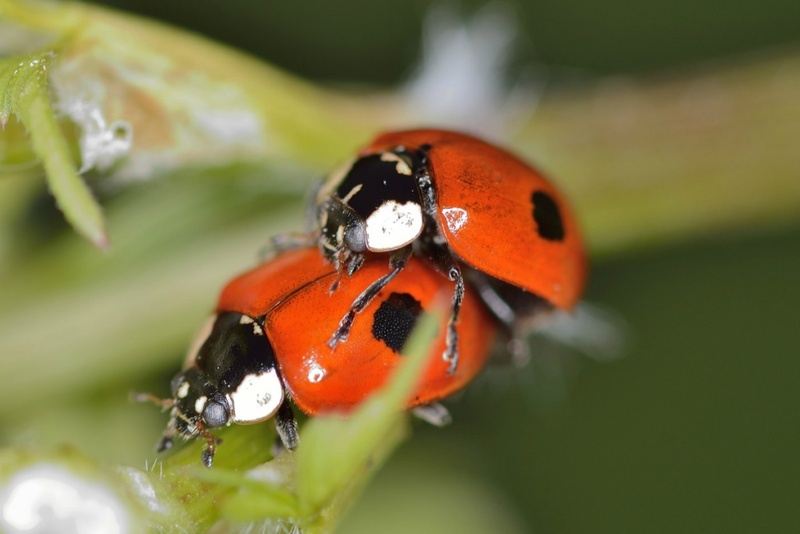 This carnivorous beetle is a voracious hunter of aphids and is often used in pest control. The females lay bright yellow eggs underneath leaves and the larvae are also fierce predators of aphids. The adults overwinter by hibernating, often in groups. Very common in Leicestershire and Rutland. 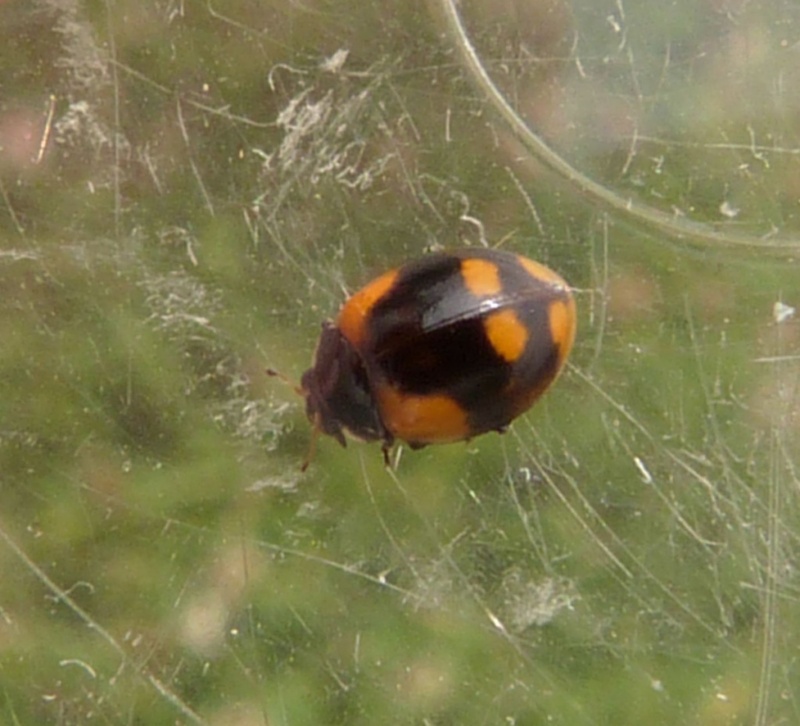 There were approximately 400 VC55 records for this species up to March 2015.